Your SAP Community Reputation: What Is It and Where Do You See It? In today’s world, all of us are present online in some fashion. You have a digital reputation, and it has value; it’s the currency of today. Your online reputation can open doors for you, and it can also close them. What exactly is your online reputation? Well, it’s not something you create or that you can even control directly. Your online reputation is a reflection of how others think of you, based on what they perceive the value of your contributions to be. It’s the summary of their opinions and feedback on your activities and your content. And although your reputation may not be directly in your control, you can influence it: it’s a product of your actions. So it’s something all members should pay attention to. 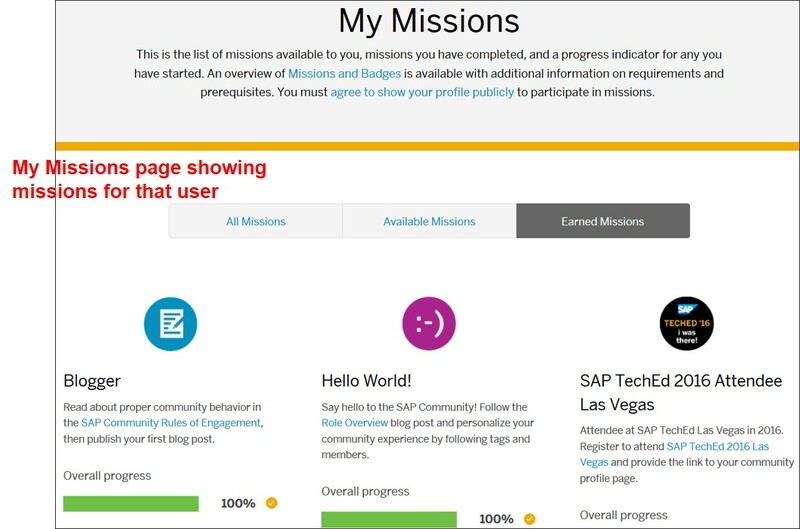 On SAP Community, we currently have certain elements in the user interface that we consider part of a member’s reputation, and it’s important for you to know what they are and where to see them, whether you’re interested in your own reputation or the reputation of other members. Role icons, meaning the images that represent a role like SAP employee, Moderator, SAP Mentor, etc. 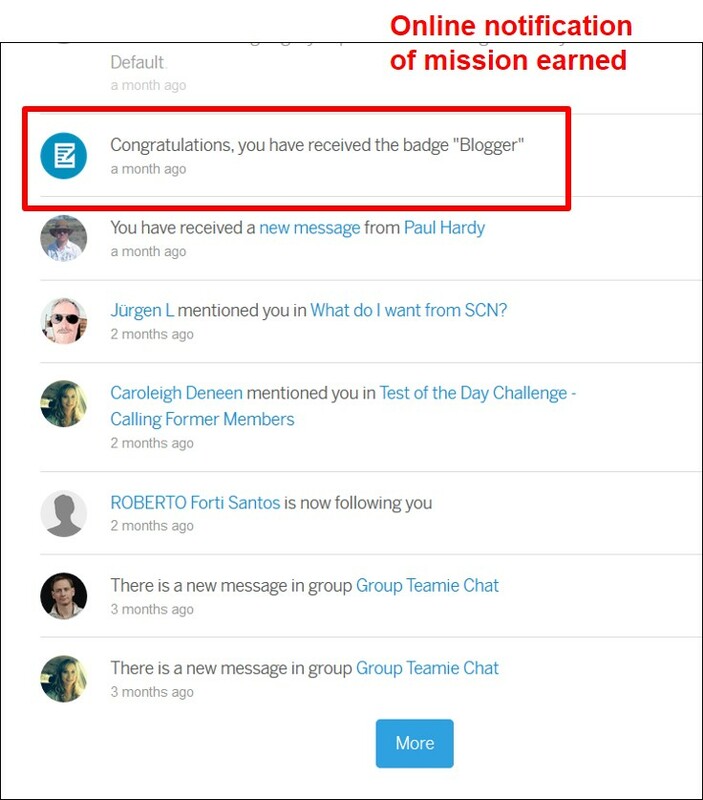 Currently the main reputation element on content such as a blog post, a question, an answer, and so on, is the author’s role icon, which enables other members to see whether the author is an SAP employee, a Moderator, an SAP Mentor, etc. In addition to role icons on the questions and answers in the Q&A system, the system shows the total “karma credits” you have earned, though this is only visible to the member themselves and to moderators. These karma credits represent a point system where positive actions and good feedback earn karma credits for the user. 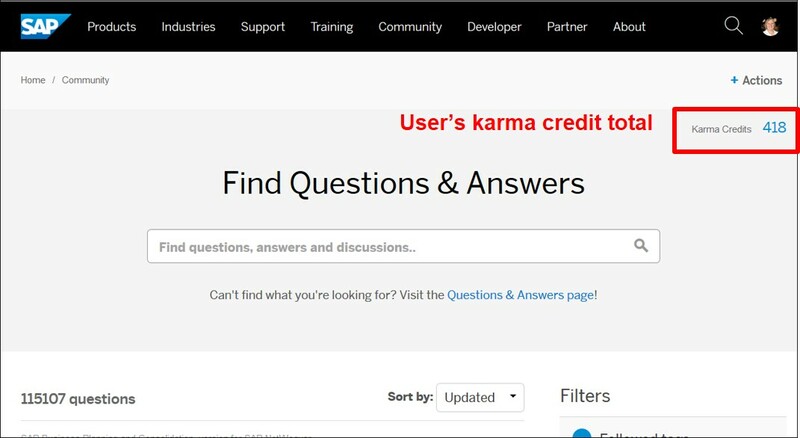 You can find more information about karma credits on this page about Reputation in SAP Community. Another element of your reputation is the missions you have achieved, represented by the badges you have earned. 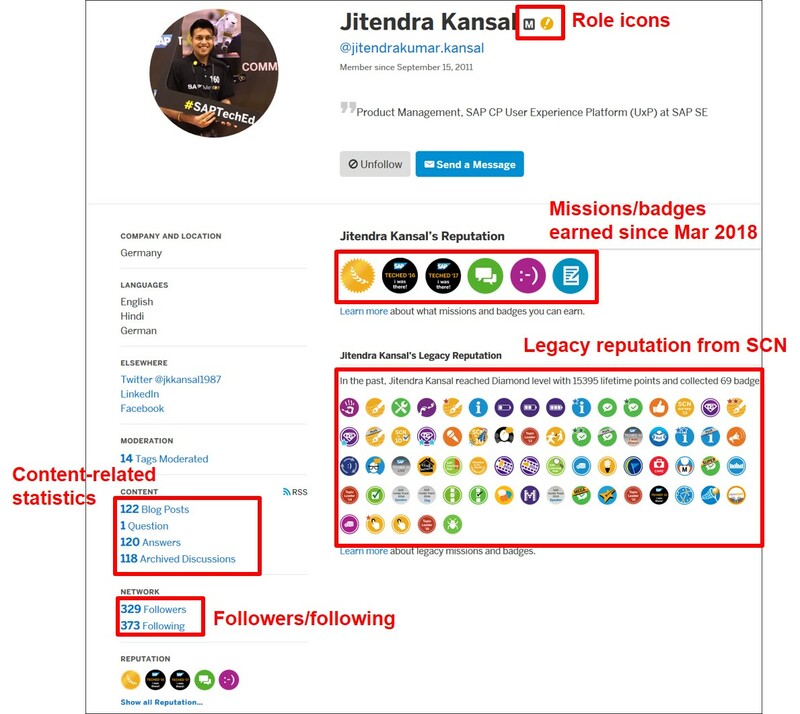 As we already saw in the Universal Profile section above, badges are displayed in the public profile. There is another, private page where you can see not only the missions that you already achieved, but the missions that are currently available to you, and what your progress is towards achieving those missions and earning those badges. And when you achieve a mission, other members who follow you see in their activity stream that you achieved it. You also receive an online notification in your notification stream. And, if you have your email notifications turned on for reputation updates, you also receive an email notification. Your reputation is also reflected in other forms of recognition and awards that we currently have in the SAP Community. For example, every month my colleague Jerry Janda highlights one community member as Member of the Month. 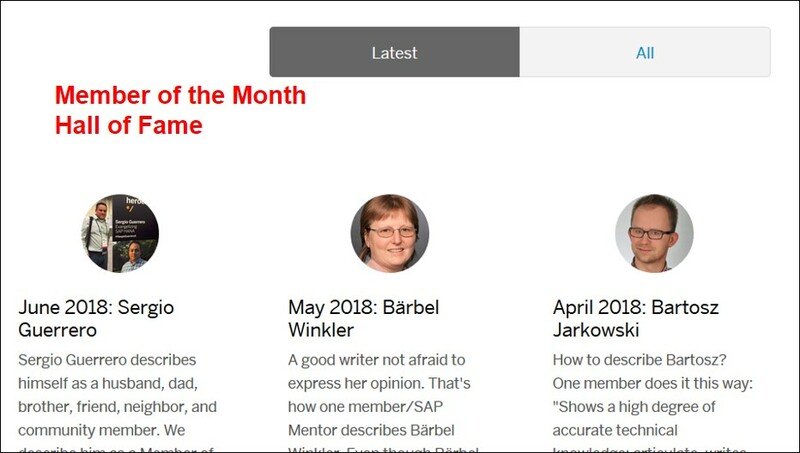 It is arguably the pinnacle achievement in SAP Community to be selected as a Member of the Month. 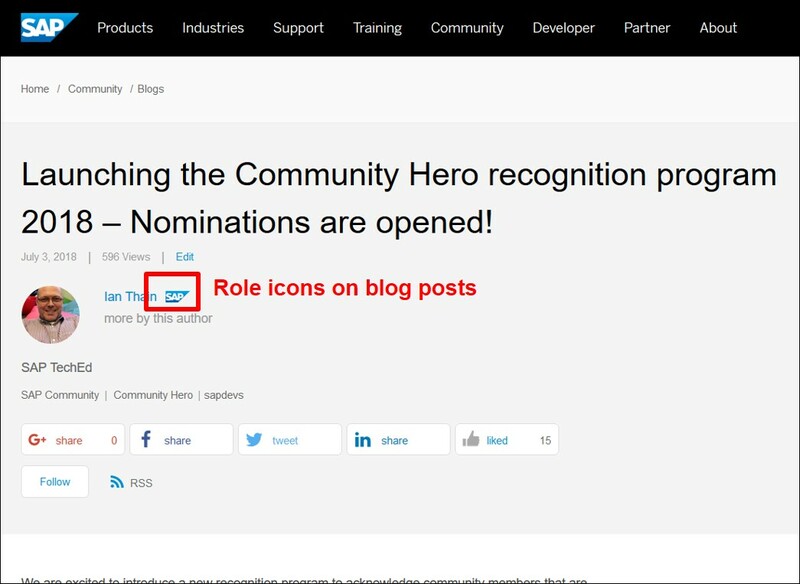 We also currently have the Community Hero awards and the Developer Hero awards, which are annual awards that begin with members being nominated by other members; reputation plays a big role in those nominations and the ensuing selection of the winners by SAP. I’m looking forward to seeing who the winners are when they are announced in the big reveal at SAP TEchEd. Want to Hear More about Reputation in Community? Join the Community Call on September 24, where I will be going over these reputation elements, and then leading a panel discussion with three Members of the Month. We will discuss their journey from newbies (in SAP Community) to esteemed members, how they got started here, and the benefits they have experienced from participating and being recognized for their contributions. Don’t miss your chance to hear valuable insights from these Members of the Month live! As far as I could tell, nothing new for me, but a very nice overview and reference! Can be a good idea to compare reputation tools in previous SCN and in current Community. In the old SCN it was very easy to find the persons having best experience in some specific area. No way today.